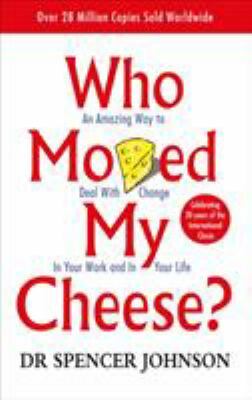 Each page of the" Who Moved My Cheese? 2007 Calendar" offers readers a short slice of the book, an inspirational quotation with insightful commentary from Dr. Spencer Johnson, or once-a-week reflective questions or exercises readers can use to evaluate how well they are dealing with change. "Who Moved My Cheese?" has topped the "New York Times, Business Week," and "USA Today" lists, and, most remarkably, for more than 100 consecutive weeks captured #1 on the "Wall Street Journal" business best-seller list. Even in its seventh calendar year, the calendar offers readers new material with new questions and exercises on the weekend pages.